Bikes in the old space. The Bike Shack is a volunteer-run, donation-funded community bike shop that helps people learn to fix their bikes and provides tools for community use. We welcome everyone to come in and use our tools, ask us questions, or check out used bikes or parts (available by donation). 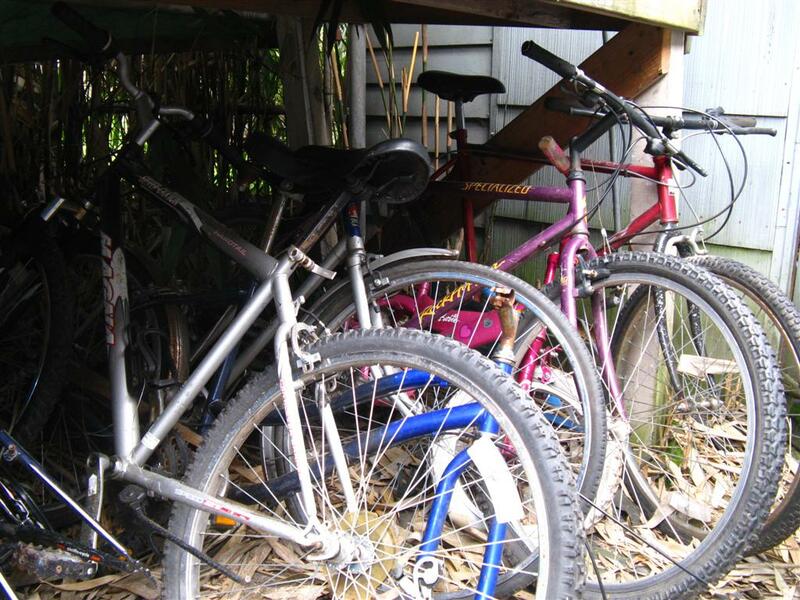 We are a volunteer-run, donation-funded community bike shop. We help people learn to fix their bikes and provide tools for community use. We welcome everyone to come in and use our tools, ask us questions, or give us a donation in exchange for used bikes or parts. Garage Sale at the Tool Library July 18! Guess what? Still too many bikes!